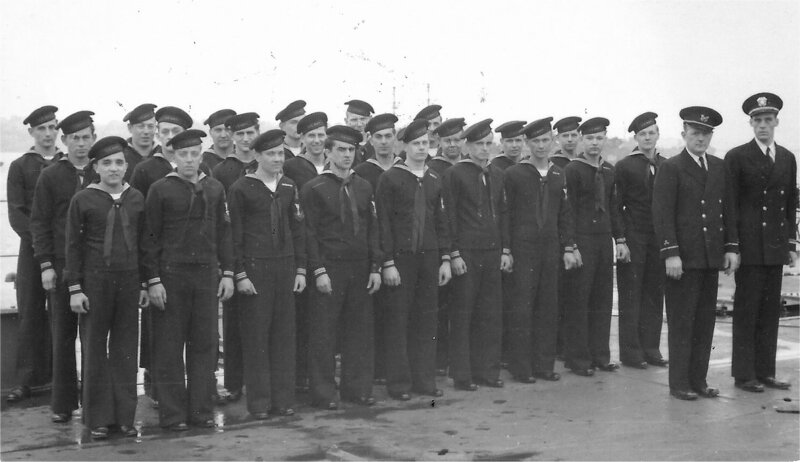 Laid down, 10 September 1943, at Chicago Bridge and Iron Co., Seneca, IL. 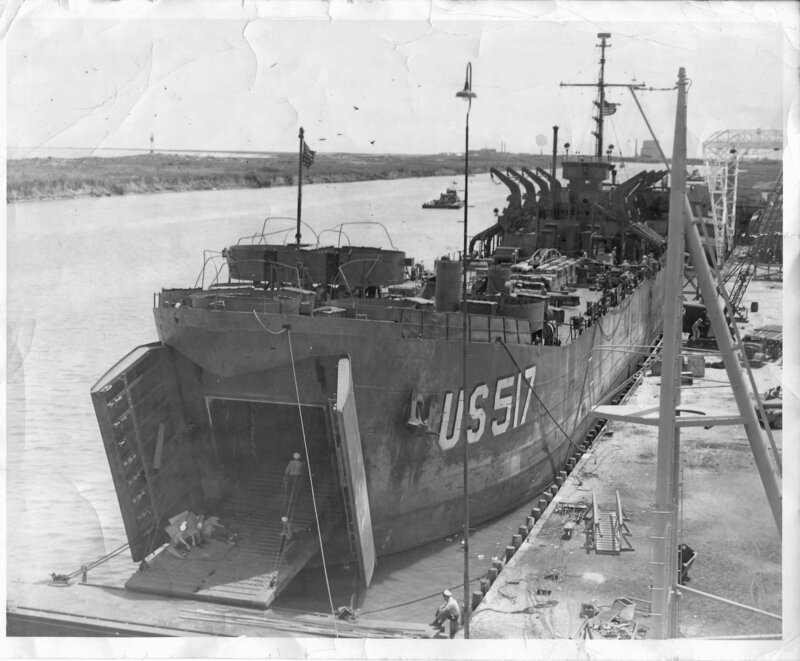 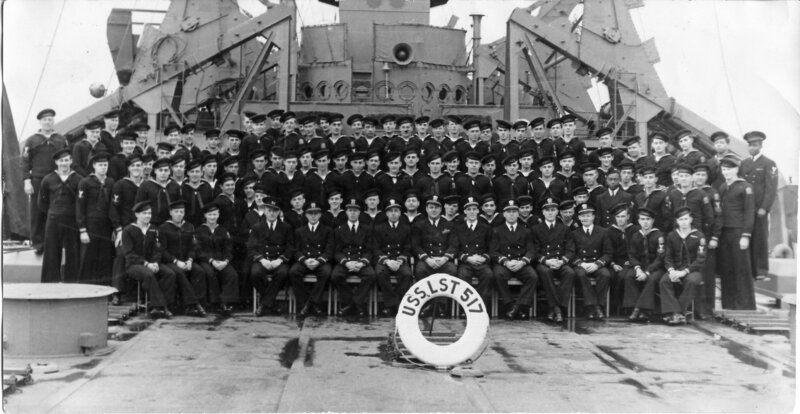 195k USS LST-517 Engineering Division, probably, taken, 7 February 1944, at Chicago Bridge and Iron Co., Seneca, IL. 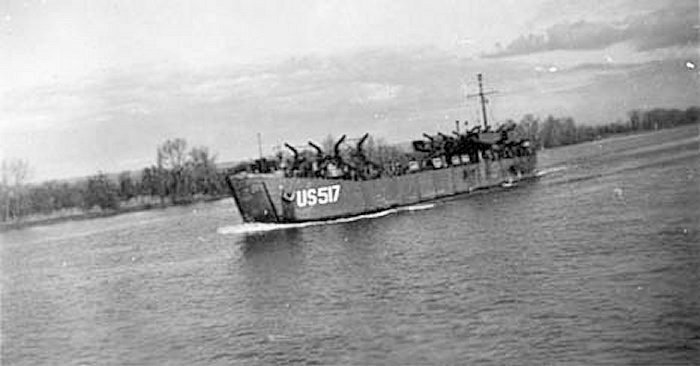 138k USS LST-517 under way, probably on the Mississippi i River after leaving the Chicago Bridge and Iron Co., Seneca, IL, shipyard and on her way to New Orleans for fitting out, circa February 1944. 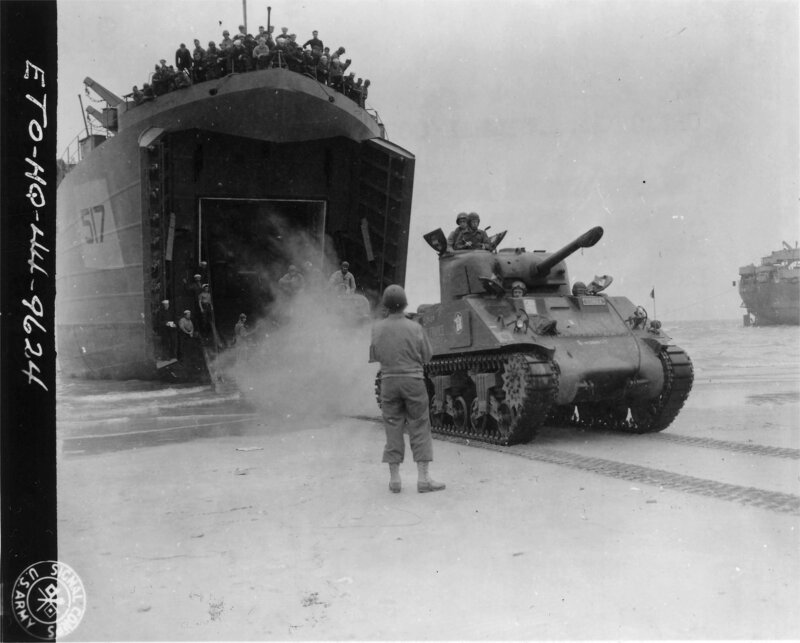 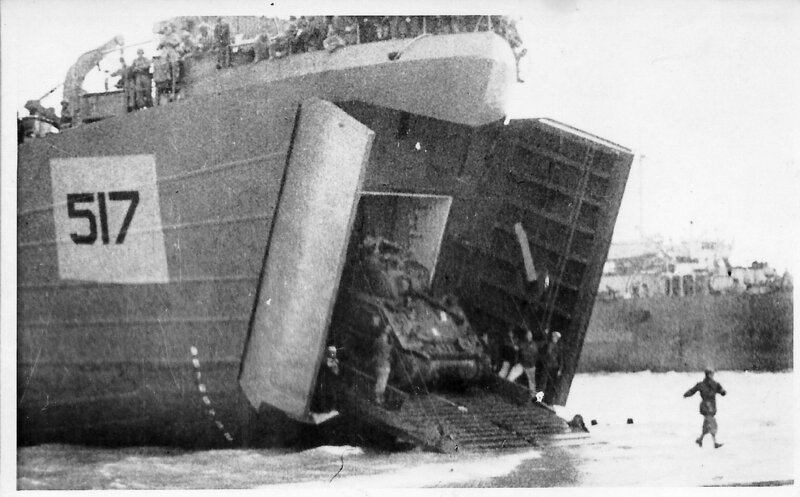 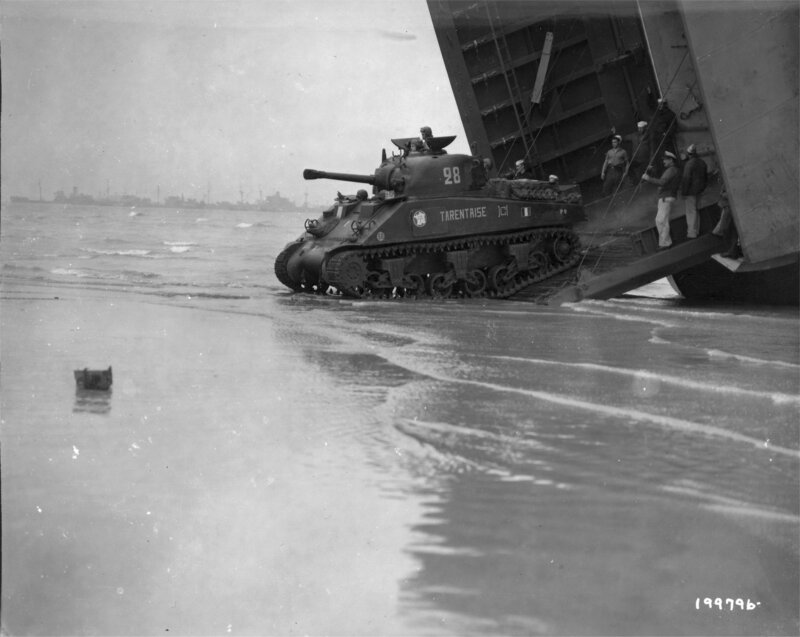 SC 199797 886k USS LST-517 beached on Utah Beach in Normandy while off loading tanks of the French 2nd Armored Division, 2 August 1944.